Smartphones are definitely going to the masses courtesy of Alcatel, which recently introduced its most affordable dual-SIM Android smartphone the One Touch Glory 918N. For its price of only P5,699, the One Touch Glory 918N can be classified as an entry-level Android smartphone, but the quality of its build and appearance (it comes in white and black) makes it a notch higher than other entry-level Android phones. The phone provides a good grip and although it has a plastic chassis, it offers some weight that provides a feel of sturdiness. It also features a 3.2 inch HVGA capacitive touchscreen such that playing YouTube clips is already nice with the volume loud and clear. By the way, photos taken with the 3.2 MP camera is not bad at all. The phone is snappy and responsive–I hardly experienced any drag going from one app to another, or one screen to another as it handles multitasking pretty well, but I just dislike that every time you pass by a Wi-Fi area, it automatically prompts you with a ring, similar to the prompt ring for an SMS or email. That to me can be distracting. To stop that from happening, be sure to uncheck the Wi-Fi network notification in the Wi-Fi settings. 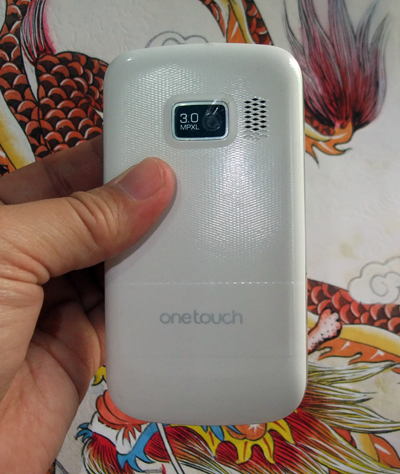 But overall, Alcatel has produced one very responsive device. Typing on a keyboard of a rather small screen can be a pain using the plain Android keys, which is why there’s an option to use TouchPal, which provides a wider layout for the soft keyboard. But you can always use the phone on horizontal position to better type your message. How does two SIMs work on an Android device? Once you set up the phone for first time use, a setting will be provided to make you configure what number to use for making calls or receiving messages. You can also configure data use. The inbox for messages can be organized in such a way that you can have the option to choose what number to use for sending a message. This feature also applies to making calls as you can also choose what number to use. So far this feature is quite commendable and doesn’t offer any confusion to the user. As the Glory 918N is already an Android phone (the latest Gingerbread iteration), it has access to Google Play, Google’s own market for Android apps. But Alcatel already put in some useful apps right out of the box. For example, the Android manager agent is an app for syncing the phone’s content to the PC via USB connection or wireless; the BioWallet is an app to store important contents of the wallet such as Visa, Bank Accounts, etc. ; Nimbuzz for converged online messaging; and PicSay for making photos carry messages and sharing them. There are tons of apps and games preloaded and I’m sure you’d have fun figuring them out. As to Internet experience, website rendering is also good on a 480 x 320 pixels HVGA display–the phone responds well to double taps and swipes for zooming and unzooming contents of the webpage, except that when inputting contents to forms may present a difficulty because of the small screen size. Overall, on design point of view and performance as a smartphone, the Alcatel Glory 918N is a best buy for the P5k price range. 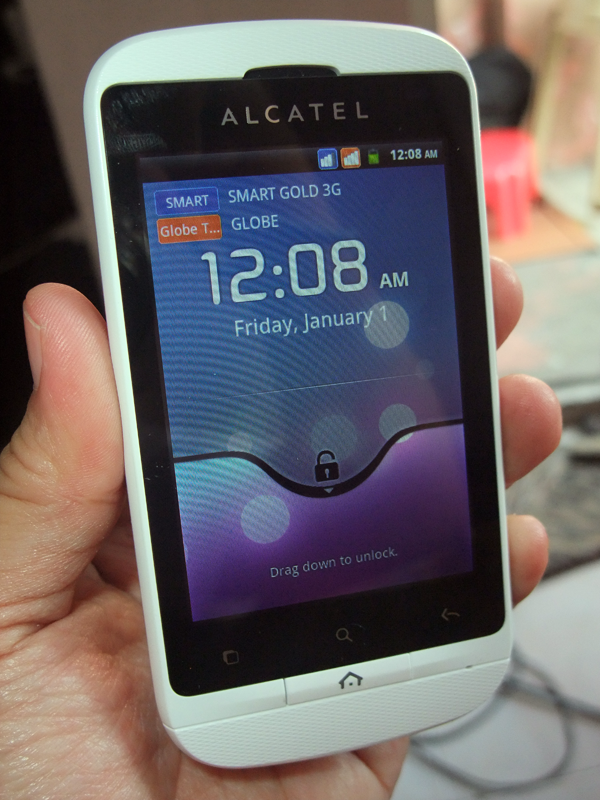 wow.. i love the alcatel so much.. ^_^ i hope i have one..